A early heads up that the trailer for the forthcoming podcast from CASA - The Global Lab is now available on iTunes. 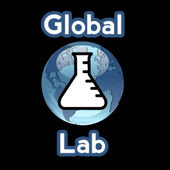 Global Lab is a podcast about cities, global connectivity and the impact of technology produced here at UCL's Centre for Advanced Spatial Analysis. Each episode features the latest news and perspectives from urban analysis, social complexity and innovation, as well as interviews with cutting-edge researchers from UCL-CASA and guests from further afield. This podcast is an opportunity for researchers to discuss their work in a way accessible to a wider audience, and to involve people from UCL and the wider community. Martin Austwick of http://sociablephysics.wordpress.com/ fame and Steven Gray from http://bigdatatoolkit.org/ are planning to get researchers from all the major projects at CASA to talk about their work in the next few months, and give people the opportunity to present and edit in the long term. The first episode, featuring Martin De Jode, from TalesofThings, will be out in the next couple of weeks.